Originally released in 2004 the DS was the successor to the Nintendo Gameboy. There has been a number of different models and upgrades including the DSI the DS Lite and the 3DS. The DS has been a huge success for Nintendo and there are a lot of incredible games for the system. You can see all our DS related reviews here. 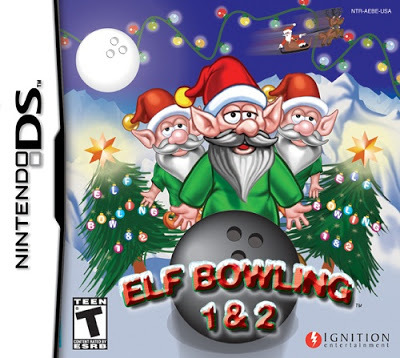 Back in the early days of the Nintendo DS, Elf Bowling 1 & 2 was released. I had no idea the series had a decent amount of popularity on PC. However that wasn’t enough to convince me to get this strange little Christmas game. These action mini games are just about the only fun you’ll have playing this game at all, unless you get your thrills from puking rainbows and sparkles on to fluffy woodland creatures and furniture with animal faces on them. 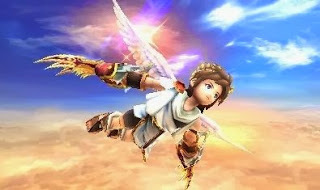 Each of the action mini games can be played on easy, medium or hard, and even on hard they aren’t hard, not in the least bit. Of the 8 character specific games, I’d have to say that Tare Panda’s is the most entertaining. It’s a balancing game where you must stack pudgy pandas on top of one another without all of them toppling over. Now the zones in the game are pretty interesting. Remember going to the dark world in Link to the Past, well, while the changes are not that drastic there are four different versions of every screen you are on when in the outside world. This is because of the four seasons. As I said, the seasons changing can help you get somewhere you could not normally. For instance, a lake in the summer is frozen so you can walk over it in the winter.